My first exposure to the popular anthology series, “The Twilight Zone” (1959-1964), was on a Friday night in the fall of 1964 when a local channel (probably WCBS) ran three episodes back-to-back. I was hooked. 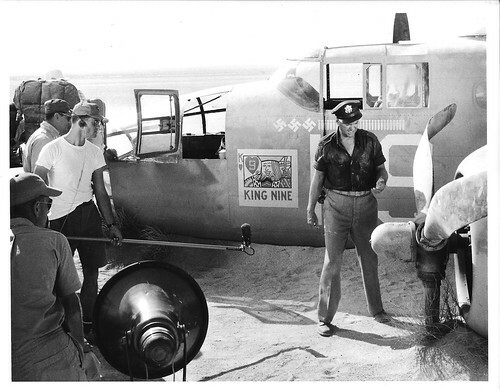 The first episode that night was “King Nine Will Not Return,” about a World War II bomber pilot (Robert Cummings) who has crashed in the desert and can’t find any members of his crew. The episode had a twist ending of the sort that made the series famous and I remember being very excited by it. The second episode was “The Man in the Bottle,” about a pawnbroker (Luther Adler) who unleashes a rather sinister-looking genie (Joseph Ruskin) from an old bottle and is granted four wishes, each of which has unpleasant ramifications, including one that turns him into Hitler, quite a memorable image less than 20 years after the end of World War II. The third episode, “Nervous Man in a Four Dollar Room,” had Joe Mantell playing Jackie Rhoades, a small-time crook given orders by the mob who faces his reflection in a hotel mirror telling him to stand up for himself. 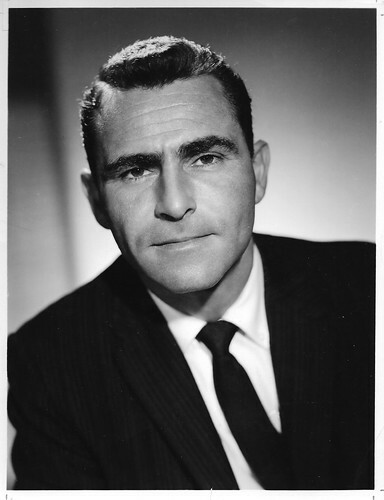 All three episodes were written by series host Rod Serling (pictured above). In each case, it was the writing of the episodes and the focus on character, supplemented by the imaginative situations in which they each find themselves, that impressed me the most. I don’t believe I’d ever seen a TV show quite like it up to this time, at least not at an age to appreciate it. I became a Rod Serling fan from that night on.